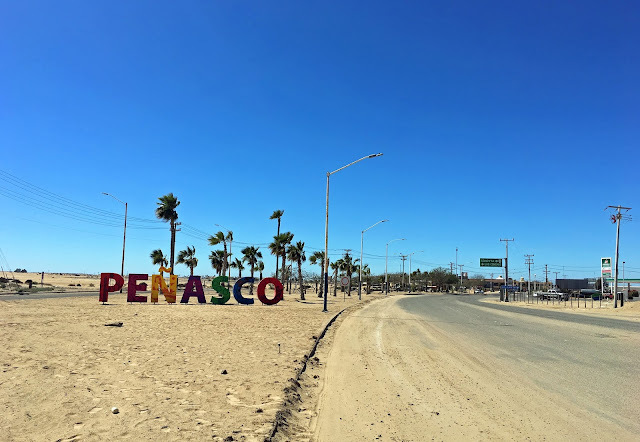 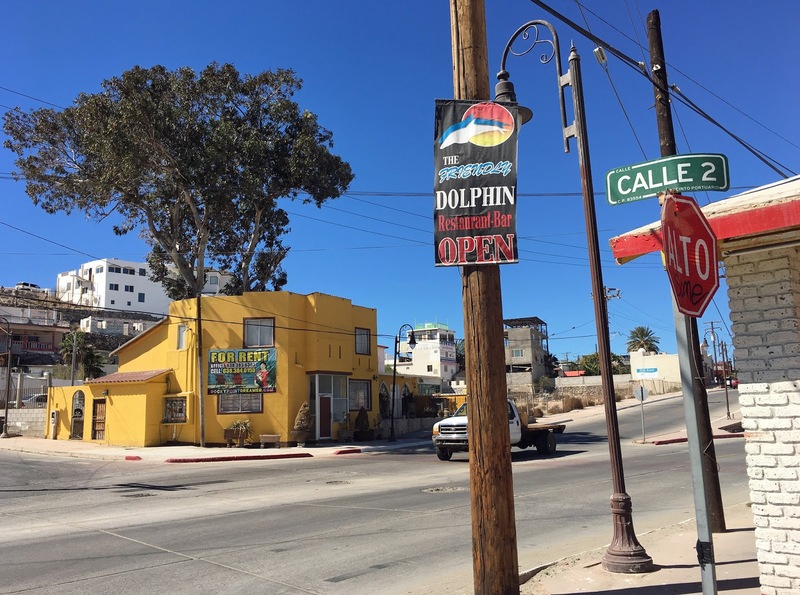 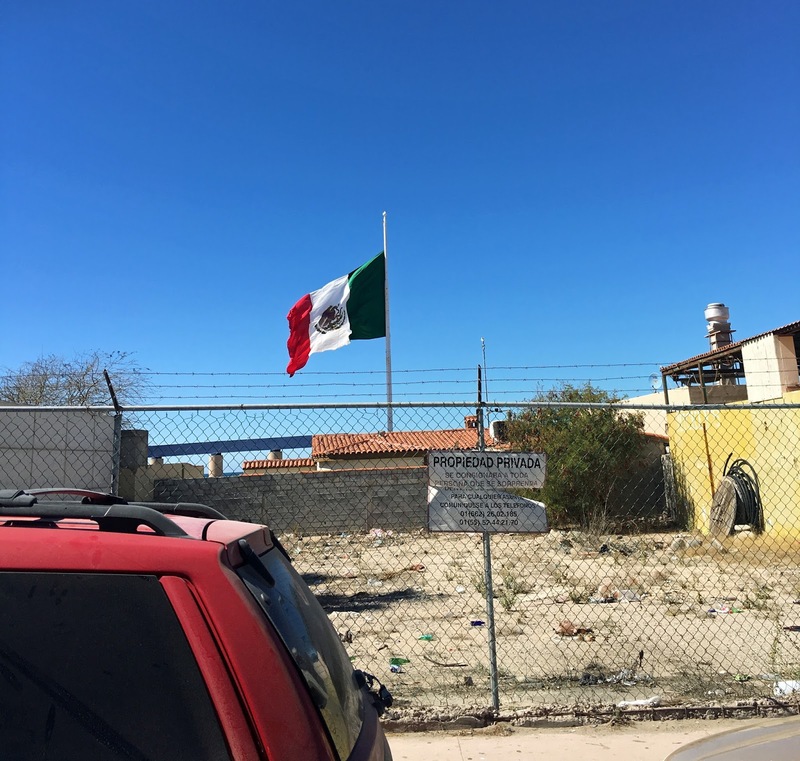 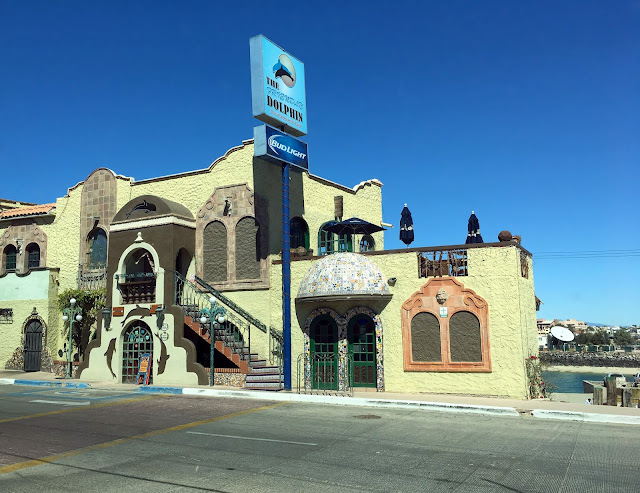 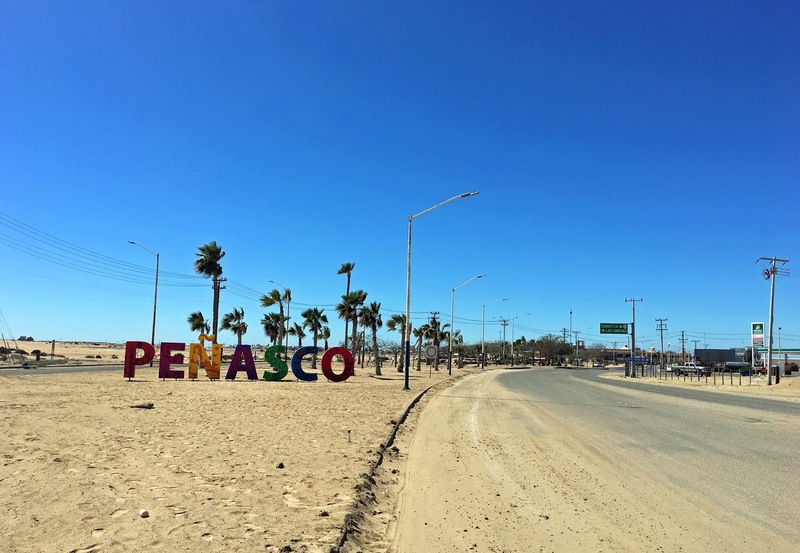 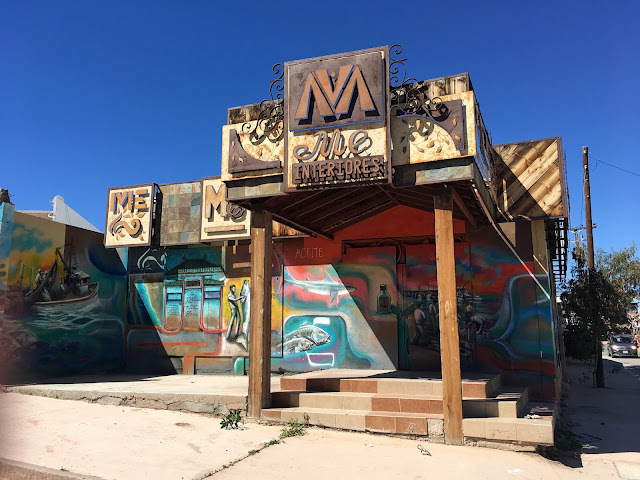 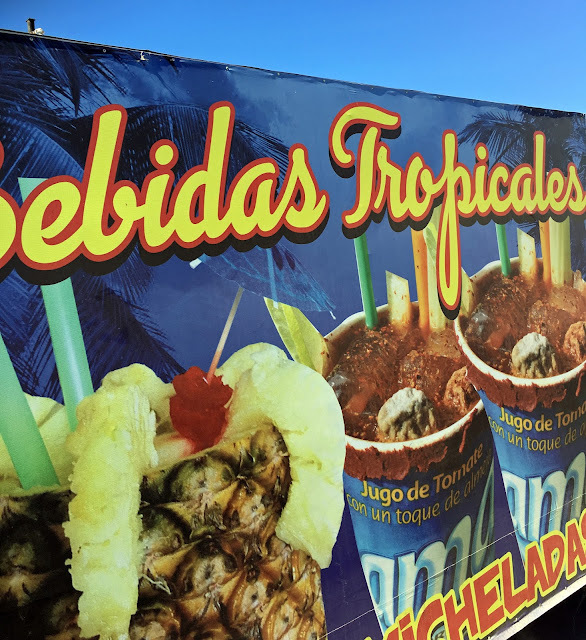 A few photos as we drove around Puerto Peñasco, Mexico will provide a glimpse into the life of this colorful coastal community. The Edificio Municipal (Municipal Building). 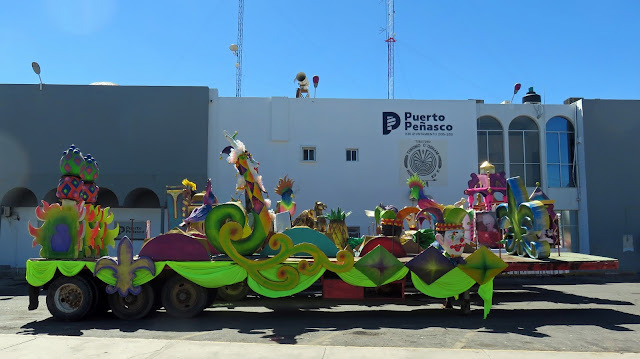 A float from the "Vive Peñasco Carnaval" parade that ushered in the Spring Break festivities. 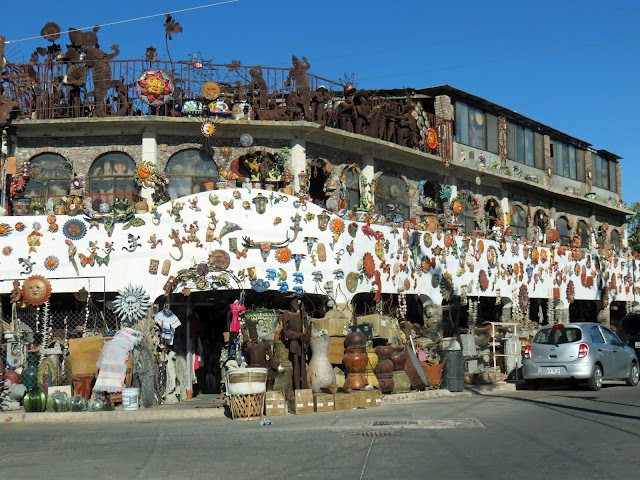 The Curios Sofía Pottery Shop at the corner of Calle Ignacio Zaragoza and 18 de Septiembre in the Old Port area. One of the many pharmacies you'll find in town. El Delfín Amigable (The Friendly Dolphin) restaurant. 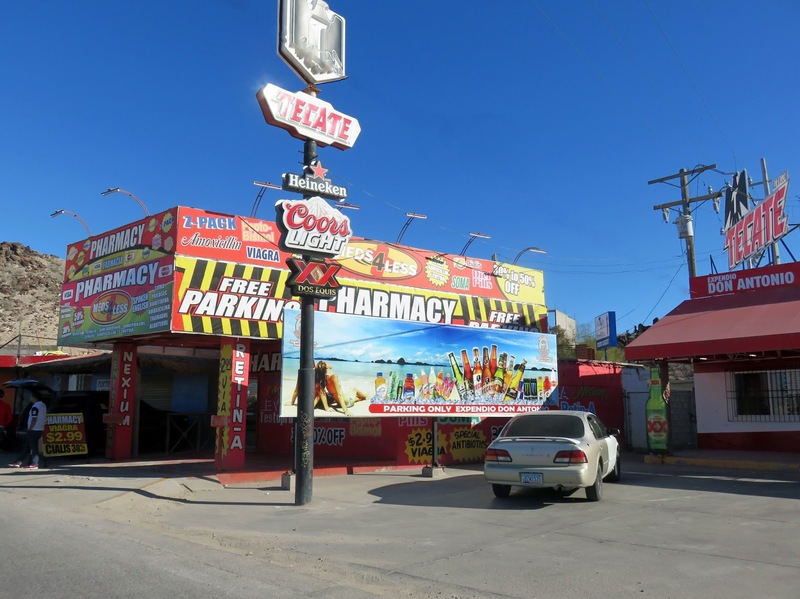 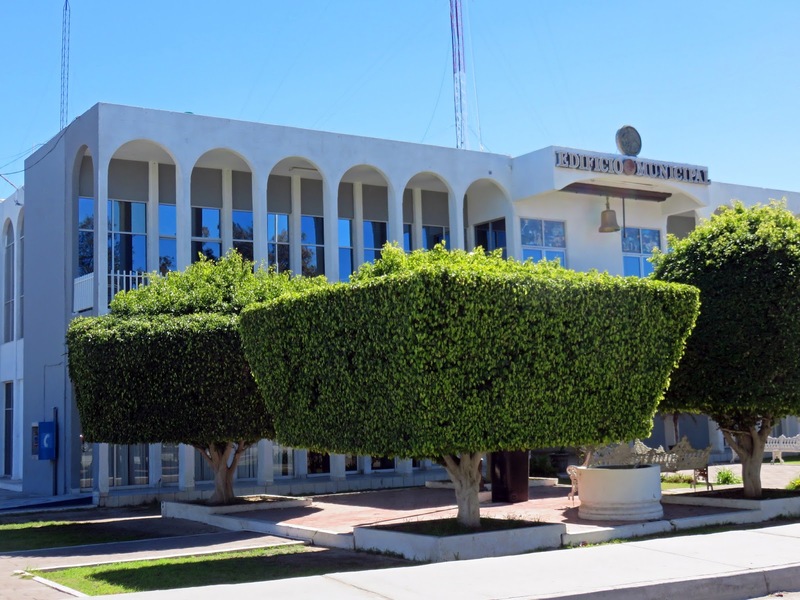 All Mexican towns have innumerable bright buildings. 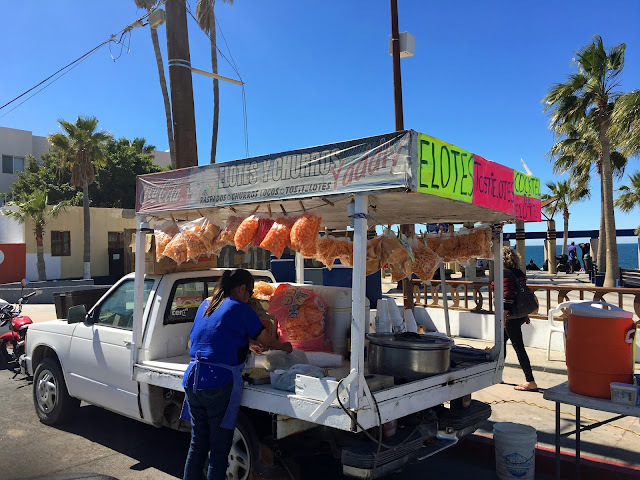 An elote (grilled Mexican street corn) and churro (fried dough pastry) vendor. 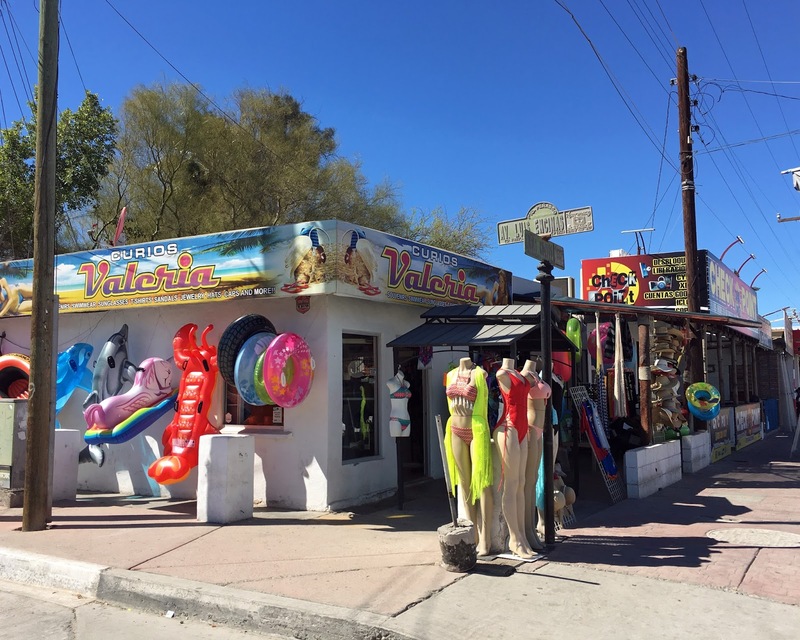 Ocean toys, bathing suits, souvenirs.